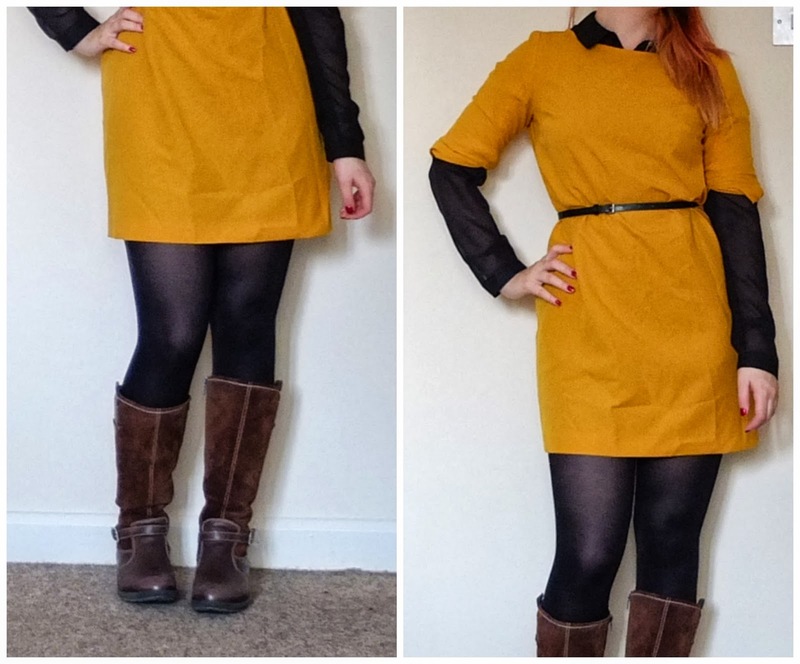 One mustard yellow dress styled in three ways! 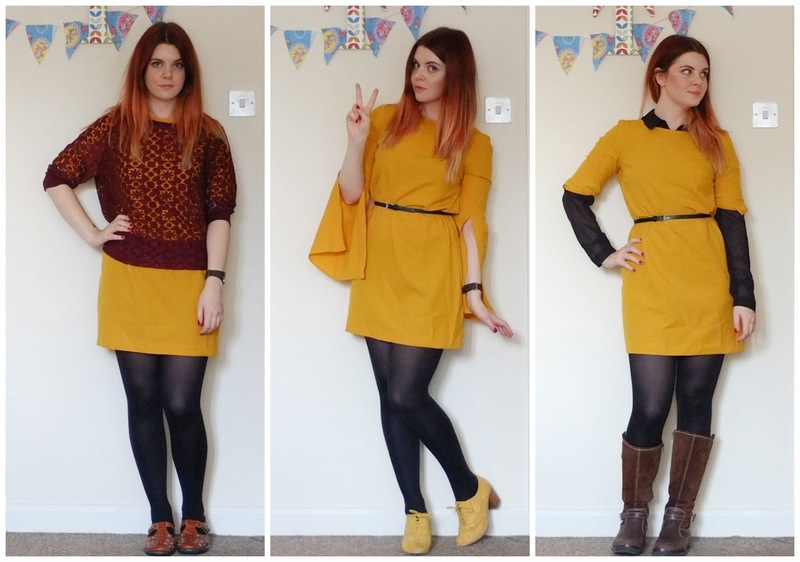 One mustard dress from Red Herring at Debenhams styled 3 ways. Oh, I do love a good multi-styled garment. 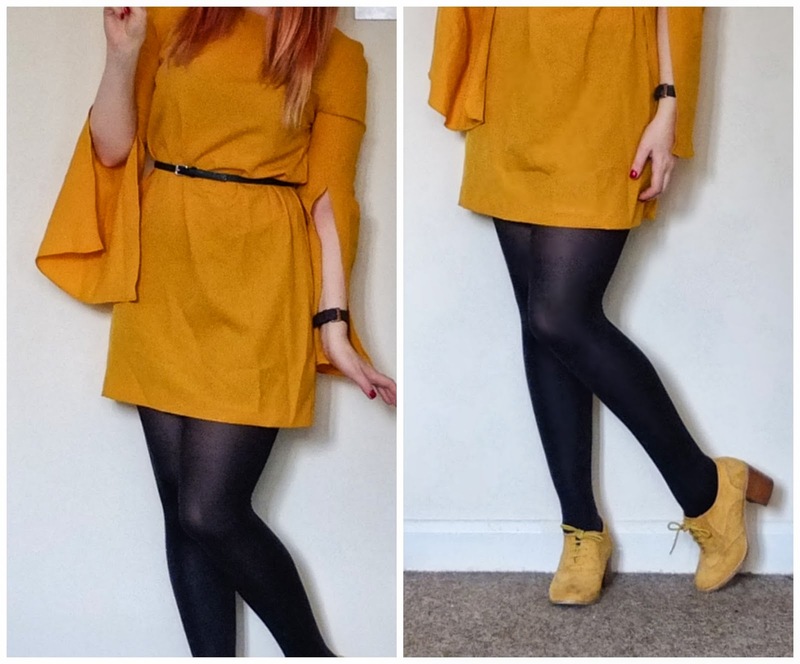 I was a bit apprehensive about the split sleeve design at first, but it’s nothing which can’t be rolled up and folded over to disguise it in to being a totally different style of dress. 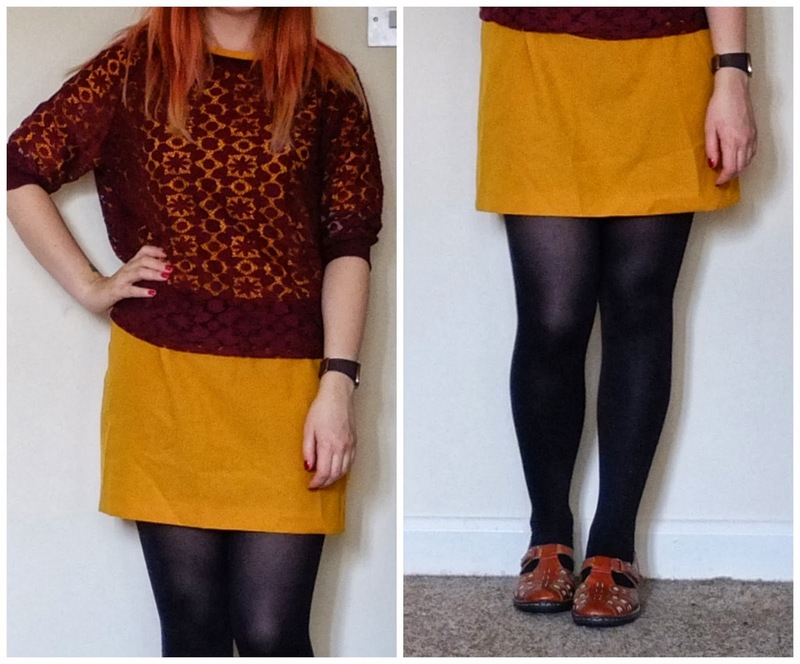 The fabric is lovely and light too so it makes it the perfect dress for layering. The only downside is due to the nature of the fabric is does tend to crease a little bit, but I don’t mind that, I can totally rock the non ironed look.